Its that time of year again when the golf courses are a bit quieter and the prices have been reduced for the Summer season that the actual golf club members get together and hold their annual inter-club tournaments where members from each club play against one another at different golf clubs throughout South Tenerife in the Summer season. Each team, from each club, consists of 16 chosen members of varying handicaps who play in pairs on a stableford better ball format giving a total of 64 players per tournament. 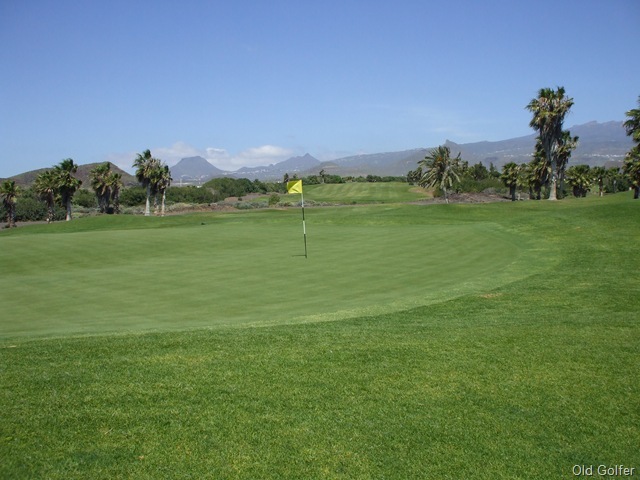 There are four local golf clubs involved Costa Adeje, Golf Del Sur, Amarilla and Amigolf. The first match in the series is being held at Golf Del Sur Golf Course on Tuesday 20th April here on the beautiful island of Tenerife. 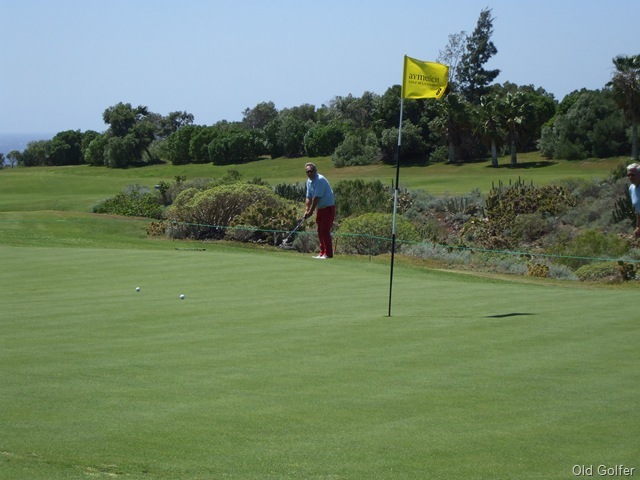 The competitors will all enjoy 18 holes of golf with buggy followed by a meal in the clubhouse.Its a great way to meet and compete with fellow residents and golfers from other clubs here in the South of Tenerife. I have made a lot of friendships over the years and would not miss the inter-club competitions. This year will be the first time Amigolf has entered a team and Sir Old Golfer has the privilege of playing for them …. 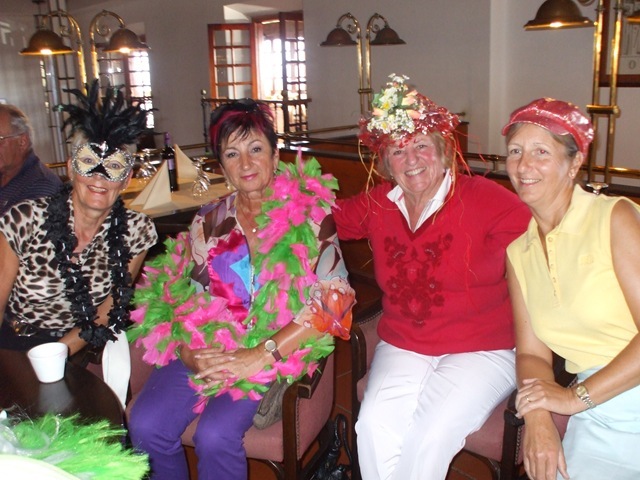 Golf Del Sur and Buenavista golf courses are holding a series of seven sponsored golf days especially for Lady golfers throughout the season, with the second being held yesterday 13/02/2010 at Golf Del Sur Golf Course. It was a very special “Carnival” golf day with prizes for the competitors with the best costumes and some went out of their way to win, with some fabulous costumes, this really made this Ladies golf day a lot of fun.The two ladies pictured above won first and second prize in the costume section. There was around 60 competitors who all enjoyed 18 holes of stableford golf,with a special green fee rate for the day, followed by a lovely dinner and prize giving . There was also a super sponsored raffle with some great prizes donated and most competitors seemed not to go home empty handed. 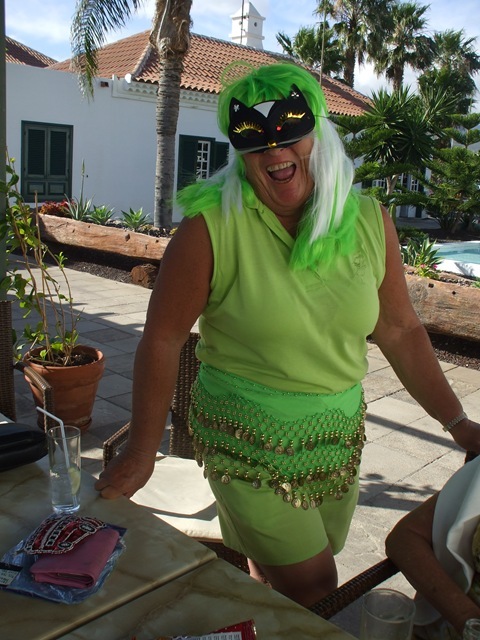 The winner of the category 1 Ladies was none other than Maria Luisa Fornies Fernandez del Castillo, who happens to be the President of the Canaries golf Federation, with an excellent score of 38 points from a 16 handicap. Winner of the category 2 Ladies was Jane Sykes with an incredible 41 points off of a 24 handicap… Well done to both Ladies. The next golf day in the series will be held on March 13th at Golf Del Sur and all lady golfers are welcome just contact the Golf Del Sur reception on 0034 922 738170. Ernie Els and Phil Mickelson In Tenerife ! In 1995, Golf del Sur golf course in Tenerife hosted the Shell Wonderful World of Golf tournament and its head to head battle between Ernie Els and Phil Mickelson its again being shown on Sky sports this MONDAY 08/02/2010 AT 9.00PM. Why not tune in and see the course I play most of my golf and the wonderful conditions we have here in Tenerife for the golfer. In primitive society, when native tribes beat the ground with clubs and yelled, it was called witchcraft; today, in civilized society, it is called golf. The man who takes up golf to get his mind off his work soon takes up work to get his mind off golf. Golf was once a rich man’s sport, but now it has millions of poor players! Golf is an expensive way of playing marbles. The secret of good golf is to hit the ball hard, straight and not too often. There are three ways to improve your golf game: take lessons, practice constantly … or start cheating. 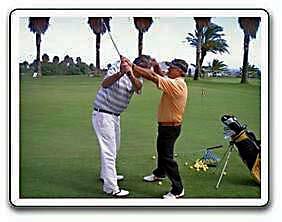 An amateur golfer is one who addresses the ball twice … once before swinging, and once again, after swinging. Many a golfer prefers a golf cart to a caddy because it cannot count, criticize or laugh. Golf is a game in which the slowest people in the world are those in front of you, and the fastest are those behind. Golf: A five mile walk punctuated with frequent disappointments. There’s no game like golf: you go out with three friends, play eighteen holes, and return with three enemies. Golf got its name because all of the other four letter words were taken. 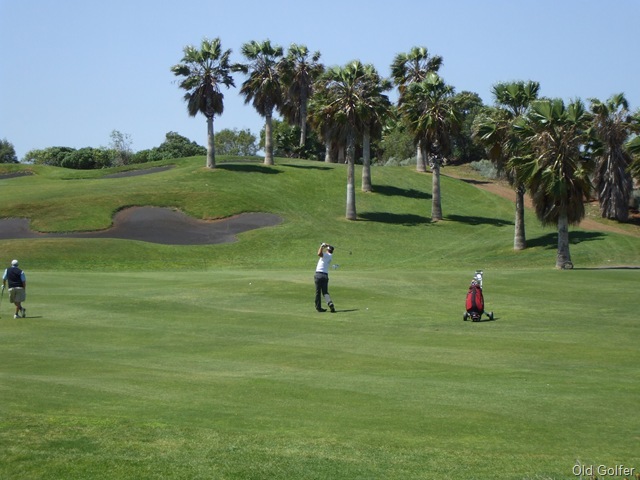 I haven’t written much in the last few months, a break was needed, but in the New Year I fully intend to start my Golfing In Tenerife… Golfing again. from the Sir Old Golfer and of course long suffering Wifie. 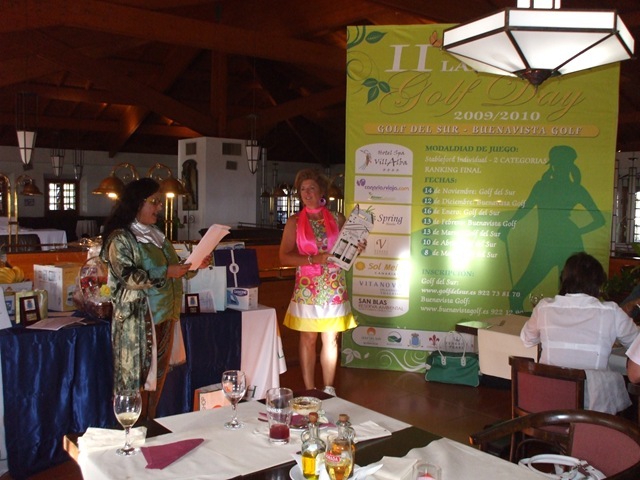 July 2010 Ladies Tenerife Open to be held at Buenavista Golf Course. 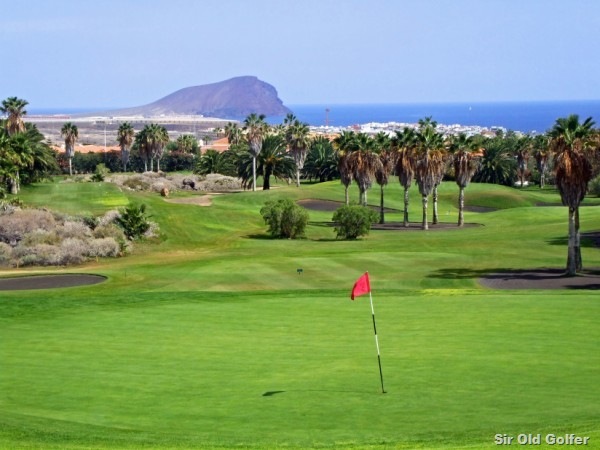 Its has just been confirmed that this years Ladies Tenerife Ladies Open, part of the Ladies European Tour, will be held at Buenavista Golf Course in the North of Tenerife on July 1st-4th. 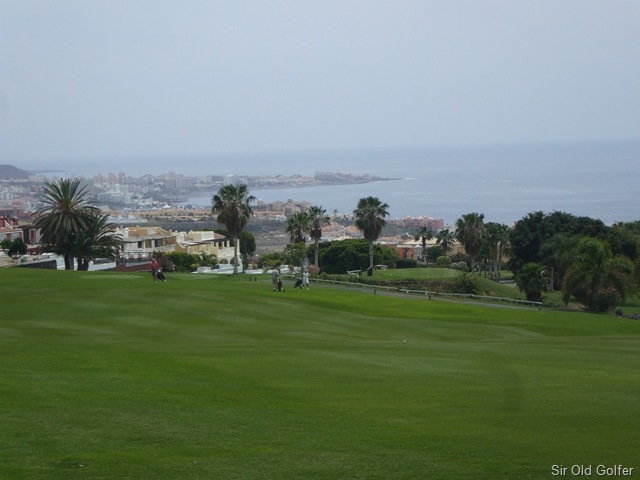 Buenavista Golf course is a beautiful setting for such a prestigious event, once again sponsored by the Canarian government and tourism dept in conjunction with the Tenerife golf association. We can expect a full field of top class international Lady golfers including the 2009 winner Falicity Johnestone. More on this as the year unfolds, but I for one expect to be there, maybe as last year, doing a bit on local radio. 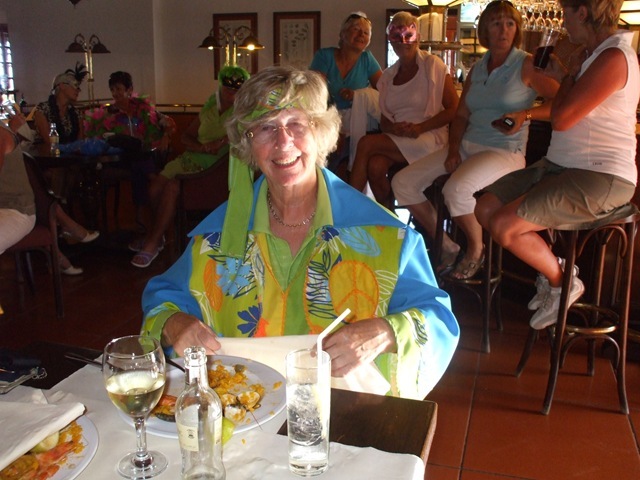 Whats on at Golf Del Sur Golf Course in October 2009. VII TORNEO CIRCUITO AYMERICH GOLF CLUB. INDIVIDUAL STABLEFORD. Dos categorías Caballeros y una categoría Damas. Salidas cada 8 minutos. Premios a los dos primeros clasificados de cada categoría. Carpa y Coktail entrega de premios. PAREJAS MEJOR BOLA. ¾ de hdcps. Premios a las 3 primeras parejas clasificadas y a la mejor pareja SCRACH. Carpa y Coktail entrega de resultados. Salida a Tiro sobre las 09 de la mañana. Trofeos a los 3 Primeros equipos clasificados. Carpa durante el recorrido y Barbacoa al finalizar el PRO-AM. PAREJAS MEJOR BOLA ¾ hdcps. DOS CATEGORIAS. (suma de 24 hasta 24 y mayor que 24). Trofeos a las dos primeras parejas clasificadas de cada categoría. Picnic en el recorrido y Coktail a la entrega de premios. VIII TORNEO CIRCUITO AYMERICH GOLF CLUB.